It’s Saturday morning, so it’s got to be time to remember another classic cartoon of the 80s! I started looking at some of these last year, with the D&D cartoon and the short series Ring Raiders. Today, it’s time for another of my all-time favourites – it’s Visionaries! 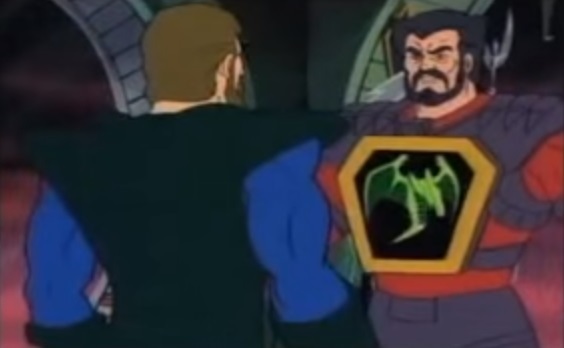 The Visionaries cartoon was first shown towards the end of 1987, and features the ongoing conflicts between the Spectral Knights and the Darkling Lords. Set on the world of Prysmos, a formerly technologically-advanced world that suffered a near-apocalypse that set the world back into a dark age, the series begins as the wizard Merklynn instigates a heroic quest to imbue several champions with magical powers, seemingly so that he can make use of them when he feels the need. Several folks show up, and run the gauntlet of traps set up inside the Iron Mountain, though only fourteen survive. Merklynn rewards all those who survived with totem animals based on their personalities, as well as eight having magical staffs. The champions split into those loyal to Leoric, the Spectral Knights, and those loyal to Darkstorm, the Darkling Lords. Most of the remaining twelve episodes deal with the Darkling Lords attempting to be generally evil, oppressing the population and trying to steal the powers of the Spectral Knights. Some of them also involve both factions doing some sort of strange work for Merklynn against his rival wizards. 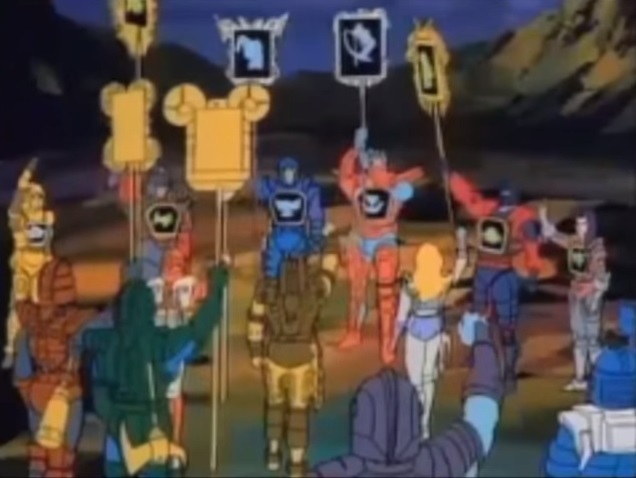 The cartoon was supported by a whole toy line, twelve of the fourteeen Visionaries were released, along with several vehicles. I remember having a lot of these as a child – well, my brother and I had quite the collection between us, anyway. 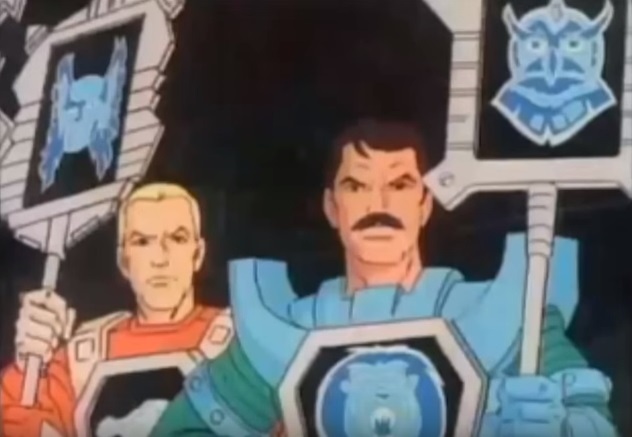 One of my earliest childhood traumas actually involves a Visionaries figure. I think it was Cravex, I had the figure as a present when going on holiday to Barmouth in mid-Wales. Cravex’s totem animal was some kind of flying lizard thing (a phylot, in case you were wondering), and so it was crucial for whatever I was playing out for him to be thrown into the air. Well, he flew too high, and ended up on the roof of a caravan, and could well still be there to this day. Needless to say, it ruined both the holiday and my childhood, especially as I had his accoutrements to remind me of the debacle. The series is a lot of fun, when looked at from a nostalgic perspective. They’re by no means brilliant – indeed, pretty much everything here is a little hackneyed and whatnot, but for people like myself, having grown up on them and playing with the toys and whatnot, there’s still a lot to be enjoyed from these sorts of shows. Next Next post: New Year, New Sigmar!